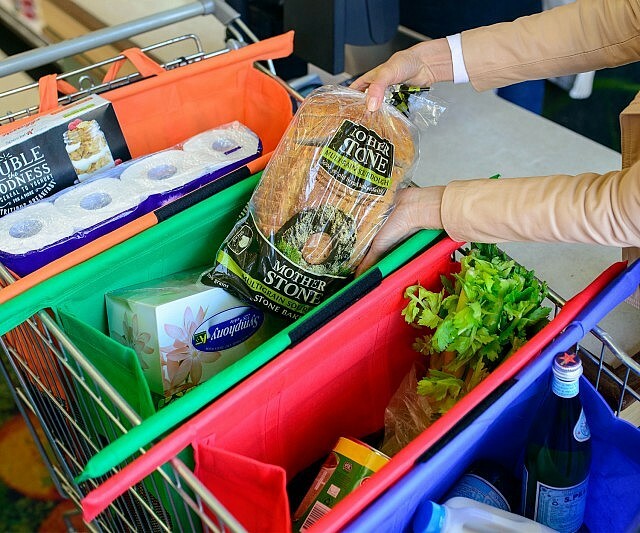 Reusable Fold-Out Shopping Bags Are A Must-Have For Grocery Shopping | OhGizmo! By David Ponce on 02/16/16 • Leave a comment! 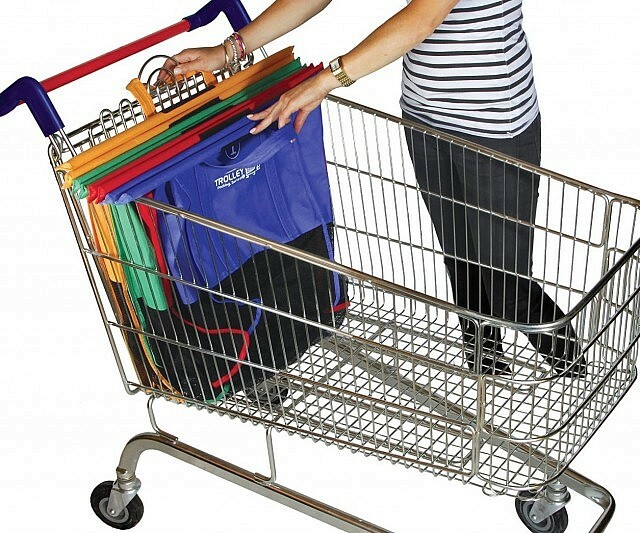 Ok, so, let’s list the reasons why buying these Trolley Bags is a good idea. First off, plastic is bad, m’kay? These bags are reusable, so there’s less plastic waste. But that’s just the tip of the iceberg. The real innovation comes in the way they fit within a shopping basket. 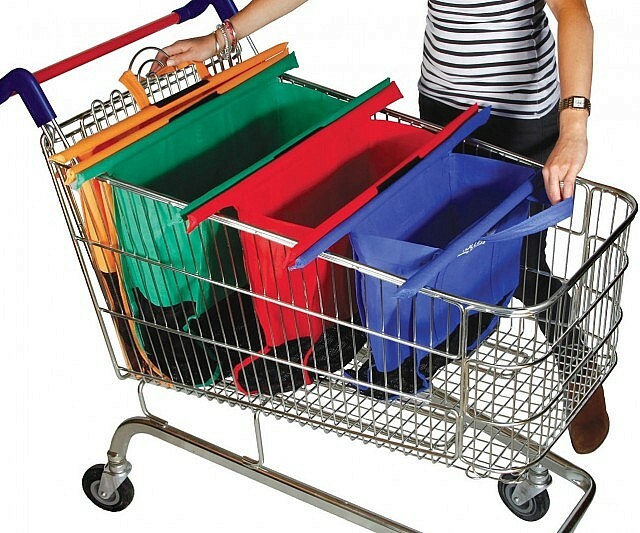 The stainless steel rods span across the basket, allowing you to simply drop your items right in the bags as you normally would while browsing the aisles. Granted, you’ll have to take them out again at checkout, but then you just drop them right back in and walk away without fuss. They’re held together with velcro, so they can easily be detached when needed. It’s a great system, and only $70.